Campsite Kavarna, Camping Saint George Resort, Kavarna campsites, Camping in Bulgaria, Hotel Saint George Kavarna, camping Kavarna, Camping on the Bulgarian Coast, Camping Saint George Resort Kavarna. Saint George is a close type vacation resort with big green fields on area of 50 000 km/2 which is on the sea coast and 10 minute with a car away from the city’s Balchik and Kavarna. The resort offers nice and quiet atmosphere for relax. It offers hotel rooms, apart-hotel with apartments and camping for campers and tents. For our customers we offer a restaurant which have a balcony with beautiful sea view, modern beach bar, and for their safety is provided security gate pass control and free parking. 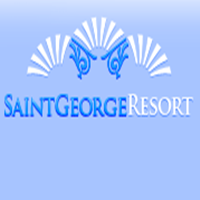 The whole resort “Saint George” is powered with healthy mineral water and free WiFi. “Saint George” resort is located nearby the three of the most famous golf courses on the Bulgarian sea side, which is perfect opportunity for the lovers of this game. The resort has perfect location for visiting all landmarks of the north sea side. The gun lovers can practice at the shooting range “Admiral” which is 4 km far. Welcome to our new and renovated hotel. Check the images below to catch a glimse of what we offer! The campsite is virtually unlimited so no matter when you come, we’ll find you a spot! The price includes free parking, baths and WC, we offer also electicity and water but for them the customer need to connect to them. 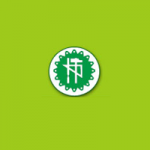 Disscout price starts from day one of the reservation. All prices include VAT and tourist tax.